Jude Mathew, born in the South of India has been living in France for twenty years. He teaches the art of daily life, with few words but a lot of silence in the heart. Jude awakes in each of us the fact that the daily life is the principal master to help you transform yourself. The most important thing is to be mindful here and now. 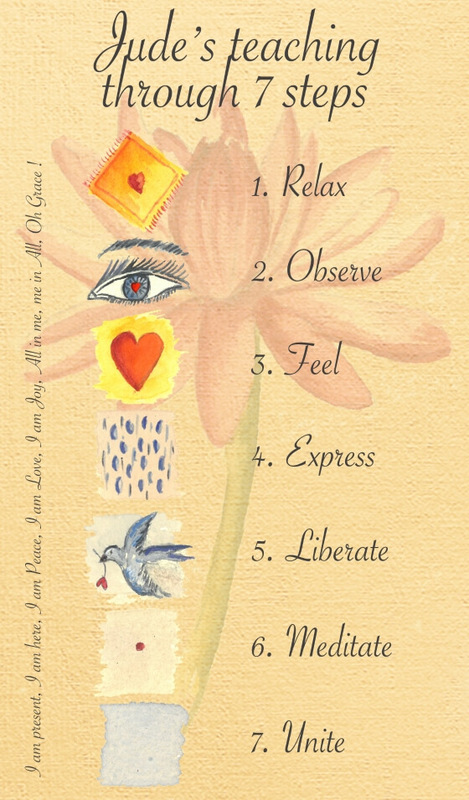 Jude has developed a teaching method in 7 stages: to settle, observe, feel, express, liberate yourself, meditate and find unity. He welcomes everybody in an unconditional love. Jude travels in France, in India and anywhere in the world to share and spread his teaching. He encourages daily meditation in everything you live, conscience acts and words for a deep being transformation where three words are essential: Love, Peace and Joy. Tranquebar is a fishing village on the Eastern coast of India, in Tamil Nadu. Jude has opened a meditation centre in order to be immersed in the silence and being united in the whole. Living a simple experience and meeting the villagers when Humility is essential. As a keeper of the light Jude is present to spread a deep enlightenment in each others hearts. A place to meditate with Gratitude, Peace and Love. A video recording of an interview done by Diego Ruiz from Spain on Jude’s vision of Yoga where he explains about 7 steps in the daily life that Jude teaches for today’s world.